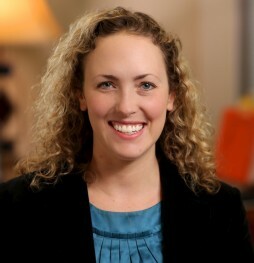 Cortney Watson is Managing Director of Grants and Federal Affairs for McAllister & Quinn. Cortney joined the firm in 2012, bringing with her expertise in federal appropriations and public policy related to infrastructure, housing, and community development. At McAllister & Quinn, Cortney helps clients to develop fundable ideas and identify and respond to a wide variety of federal RFPs. She also provides government affairs analysis and advocacy to nonprofit clients on issues related to health, international development, and economic development. In addition, she provides strategic oversight of the McAllister & Quinn Grant Writing Network and helps manage the firm’s operations and political fundraising. Prior to joining McAllister & Quinn, Cortney worked for the National Association of Housing and Redevelopment Officials (NAHRO), a trade association comprised of affordable housing and community development professionals. As NAHRO’s Manger of Congressional Relations and Advocacy, Cortney engaged in extensive advocacy on Capitol Hill and managed NAHRO’s grassroots network. Additionally, Cortney researched and evaluated federal homeless programs at Abt Associates Inc., a Washington, D.C. think tank. Cortney’s other experience includes researching domestic violence and grant writing for the Cambodian Defenders Project (Phnom Penh, Cambodia) and interning for Senator Debbie Stabenow (D-MI). Cortney holds a B.B.A. from Saint Mary’s College in Notre Dame, IN, and an M.P.P. from the University of Michigan. She is a native of Big Rapids, MI. Author, “The American Recovery and Reinvestment Act & Public Housing: A Smart Investment in Our Economy,” Journal of Housing and Community Development. Research Assistant, Abt Associates Inc.